Visa Changes – You will Want to Read This! 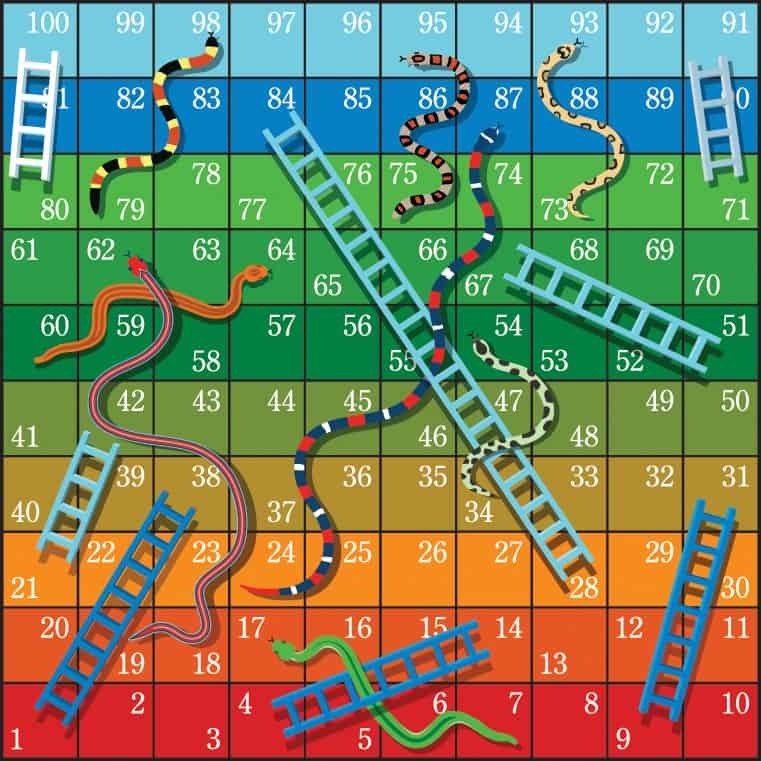 My favourite board game as a kid was Snakes and Ladders. We’d throw the dice and try to be the first to the top. On the way, if you landed on a Ladder you were instantly catapulted forward. But land on a snake, and you’d slide all the way back down! 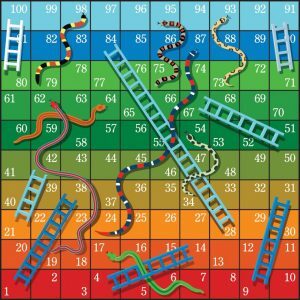 Some board games had a particularly nasty and long snake right near the finish line, which took you all the way back to square 1. Anyone going through an Australian visa process right now can relate to this, with the recent Australian Immigration changes which started to be announced from April 17, 2017. What started as a punchy announcement by the Prime Minister Malcolm Turnbull that “457 Visas will be abolished” has evolved into a more complex array of changes to permanent residency visas; removal of eligible occupations, changed citizenship eligibility, limited access to higher education, and reduced opportunities for businesses to sponsor overseas workers. When it comes to visas, the stakes are much higher – it’s not a game, and it affects people’s lives. Let’s look at the visa changes and decide whether they are Snakes or Ladders. A major change was made to the list of eligible occupations. Previously we had the Skilled Occupation List (SOL) and the Consolidated Sponsored Occupation List (CSOL). These have now been stripped of over 200 occupations; and re-named the Medium Long Term Strategic Skills List (MLTSSL) and the Short Term Skilled Occupation List (STSOL). The catch is, occupations on the STSOL will now only be available for a 2 year Subclass 457 visa and will not be available for a permanent residency pathway. 457 visas undecided at April 17 will be assessed under the new rules; meaning many people’s 457’s will have to be withdrawn as they can’t be approved. Verdict: Tiger snake for those people and their employers. People on a 457 visa will be apparently protected in terms of achieving residency under the old system; but the details are not yet available. Verdict: Ladder as long as the grandfathering arrangements are favourable. The maximum age for direct entry permanent residency will decrease to 45 in July 2017. Verdict: Rattlesnake for those approaching, or over, 45. The Employer Nomination Scheme and Regional Sponsored Migration Schemes are flagged to undergo major changes in March 2018, including a need for 3 years of work experience before applying. Verdict: For many people this will be a Snake. Some people will be unaffected. In March 2018 the 457 visa will be abolished completely and replaced with a ‘Temporary Skills Shortage” visa. A 2 year TSS visa will apply for people with an occupation on the STSOL; while occupations on the MTSSL can be granted a 4 year 457 with a residency pathway after 3 years. Verdict: Boa constrictor – makes it hard to meet temporary residence transition stream when they have to remain with one employer for 3 years and anything could happen. Instead of the current requirement for an organisation to demonstrate that they pay for training, a flat levy will be applied for all employer sponsored visas. The amount is paid per year of visa, and varies depending on whether it’s for a temporary or permanent visa; and whether the organisation is large (over $10 million turnover) or small. Verdict: Snake for applicants and organisations alike. We know about a material change of structure with Partner Visa processing – the sponsor will need to be screened and approved as a sponsor BEFORE a partner visa can be lodged, when legislation passes. Verdict: Snake for people who have a time critical need to lodge a partner visa onshore before their current visa expires. Ladder for vulnerable overseas partners who do not know their partner well, as prior convictions and charges will have to be disclosed. Parent Visas are largely unchanged, but there will be a new Temporary Parent Visa which will allow a maximum 10 year stay by a parent of an Australian. Verdict: Ladder for many parents who don’t meet the Balance of Family Test and are currently prevented from moving to Australia. Snake when it comes to the 10-year mark and they have to go back home! A new Permanent Residency Visa for New Zealand citizens who have lived and worked in Australia for 5 year, is scheduled to be released this year. Verdict: Ladder for New Zealand Citizens. Radical Citizenship changes have been announced, where the residency requirement is increased to 4 years of permanent residency, and an English language test will be mandatory. These changes require future legislative amendment, but are already impacting on people as the Department will not permit online applications where the residency requirement is not met. It’s been announced they will seek to make the changes retrospective to the 20th April 2017, presumably to hedge against a flood of applications. Whether that succeeds will depend upon the Parliament. The Higher Education Reform Package has been announced. One of the initiatives is removal of the subsidies for Permanent Residents and New Zealand citizens, meaning they become full-fee paying students. The sweetener is that these students will now have access to income contingent loans, meaning they don’t have to pay upfront. Verdict: Massive snake which may influence many people’s decisions to move to Australia. Access to the loan is a stepladder. Visa application charges will increase on July 1; although the increases are quite minimal and in line with the Consumer Price Index. And there has been a commitment to increase VAC’s every year in line with CPI. Verdict: Scary looking but harmless. There’s nothing more inevitable than fee increases. And it’s possible that there could be still more changes. Skilled Migration – the scheme by which a person can enter Australia as a permanent resident without a sponsor, on the basis that they have a skill which is “in demand” – is essentially unchanged, but could be targeted for reforms. The Department might vary the amount of points required for an invitation, making it more difficult for some people to apply; or to remove the permanent visas altogether, leaving only a provisional visa as an option. However, this is speculation and nothing has been announced yet. Politically, it aligns with recent initiatives from the United Kingdom; United States of America and New Zealand. World uncertainty is coinciding with a rise in nationalism. The Australian economy is in good shape but unemployment is rising in some sectors. This exposes the government to criticism of migration policy which, in the eyes of some people, prevents Australians from getting jobs, although the 95,000 current Subclass 457 visa holders account for less than 1% of the entire Australian workforce, and many contribute skills and expertise which is simply not available in this country. The Australian budget, which is in a significant deficit, will certainly benefit from the additional fees that the changes will generate. It’s pretty clear that an Australian passport is one of the most coveted in the world, due to the standard of living here; the relative safety of our country, and the fabulous weather and pristine environment. Australia takes a very tough stance on terrorism and radicalisation, and will take all steps to protect its citizens. More than ever before, a passport is something you really must earn. So there you have it. A game of snakes and ladders which seems to have more snakes than ladders! But having said that, let’s put it into some context. There have been major migration changes before this. The 457 system has been fiddled with so many times that migration agents have lost count. Every time there is a major change, it sends a shockwave through visa applicants and the visa industry itself. There will still be plenty of opportunities for people who are deemed by Australia to be “in demand”. And, with occupation lists being updated every 6 months, even though a door might have closed, another one might open soon. Some people will be essentially unaffected by the changes. The luckiest ones have already obtained their permanent residency and applied for citizenship before April 20! People who are in Australia already might benefit from a chat with a migration agent, to just confirm that they can still proceed as planned, or to explore other options. Now, more than ever, a registered migration agent can provide enormous value. We have already seen cases where people have come unstuck through not fully understanding how the changes affect them. While the migration industry itself is still in the dark about some of the finer details, at Emergico we’re doing our best to sift through the information and provide the best information and options to our clients. Contact us if you’d like to connect with one of our expert Registered Migration Agents in Australia and the United Kingdom.